Think modern alpine getaway, a clean space with grey washed tones and layers of rich detail to absorb. A space you come to sink into, escape and explore, with waves of intense flavors and smells, vibrant and classic music passing through the air. Innovative and inspired Cuisine focusing on a unique and fresh approach with flavors from local farms and from foraging in our own backyard. After dark, the ambiance comes from soft designer lighting and candles. Surrounded by shades of grey and light wood tones, comfortable banquets and modern Scandinavian furniture create an enchanting environment that envelops you in the world of Bosq and our surrounding mountains. Chef C. Barclay Dodge has been in the restaurant world for over thirty years and has taken his experiences from all over the globe and created this passion-driven menu for your palate. 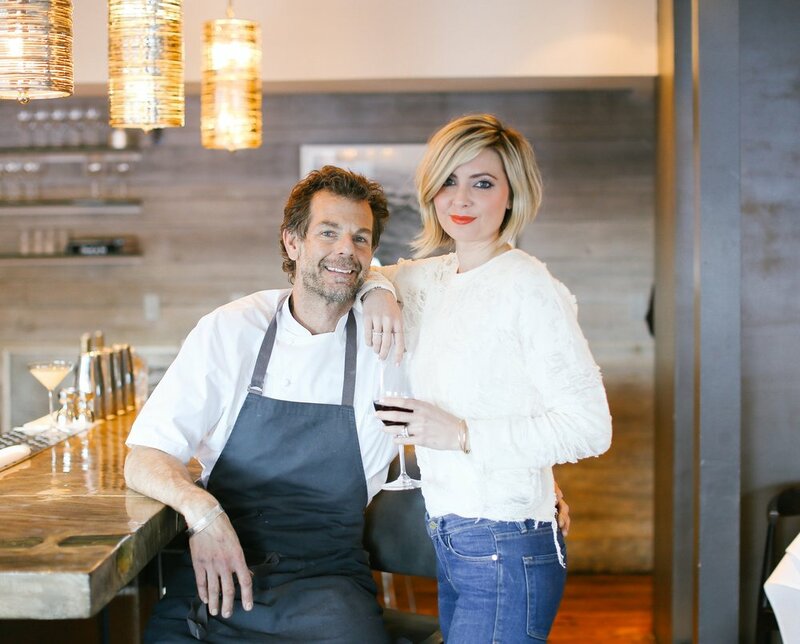 Together with his wife, Molly they love entertaining and enjoy welcoming foodies and even non-foodies from all over the globe into their cozy space. As an Aspen native, Chef Dodge is excited to share his love of the kitchen with you. Due to our intimate size, reservations recommended for both a seat and our famous Peking Duck!